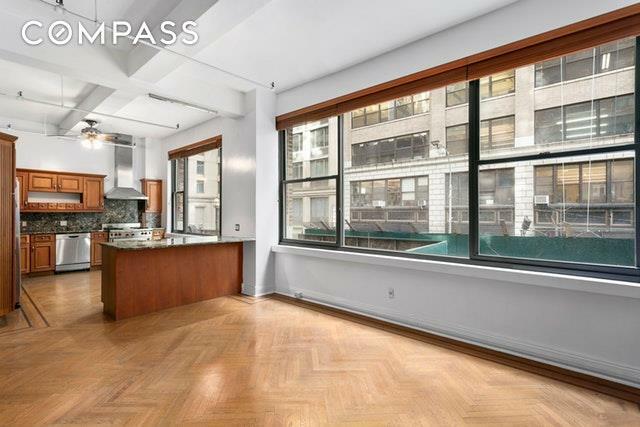 Fashion District - Loft Living - Bordering Hudson Yards!3800sf of usable space. 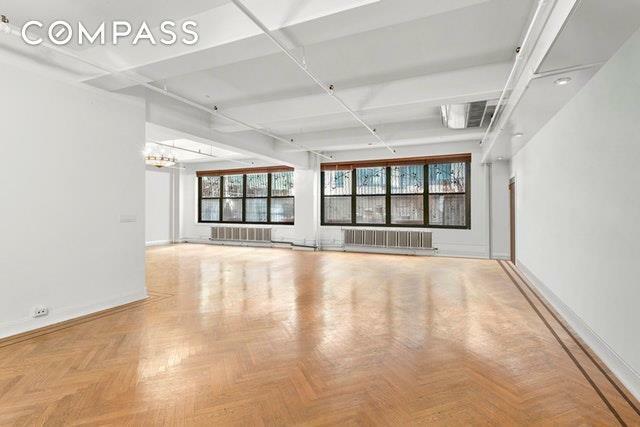 This is a LEGAL Live/Work space OPPORTUNITY for an Artist or Entrepreneur. OR Live/Office or use as an EXPANSIVE 3-4 BEDROOM RESIDENCE with 11'6" ceiling, 50' wide frontage, North & South exposures. Windowed kitchen, stainless steel appliances, lots of storage and counters for cooking and entertaining. 3 bedrooms, 3 baths, one with jacuzzi, sauna, and steam room. Beautiful hardwood floors. Laundry room w/washer-dryer and sink. High-tech wiring. Terrace for planting.Ideal for cost effective renovation, multiple risers. There are only 4 columns, NO STRUCTURAL WALLS. Keyed elevator and separate freight. Video intercom. Storage unit in basement. Pets allowed.Building built in 1928, coop established in 1976. 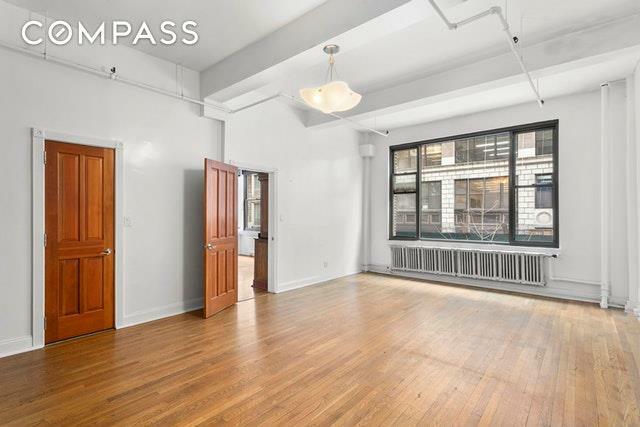 Great upscale potential in fast changing neighborhood.Conveniently located near extensive public transportation - A, C, 1, 2, R, Q, N, LIRR and PATH trains. The Lincoln Tunnel provides easy access to New Jersey. 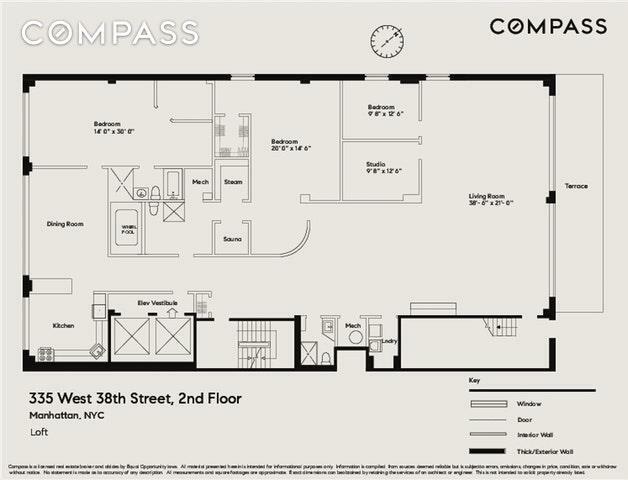 Nearby is Times Square, Herald Square, the Javits Convention Center, Broadway theatres, and international food shopping.The Hudson Yards Redevelopment Project will include 14 ACRES OF PUBLIC OPEN SPACE including an innovative cultural performance/ART space - The Shed - opening April 5th, 2019.There will be a Neiman Marcus, and Equinox Hotel, high-end shops and restaurants featuring renowned chefs the likes of Jose Andres and Thomas Keller.38th is a handsome street with apartments, residential lofts, a great variety of commercial tenants, restaurants, galleries, and a mix of boutiques, hotels, with European style food shopping on Ninth Avenue.The rapidly developing Hudson Yards neighborhood will be the focus of attention and investment for many years to come.